Red Ribbon Week is Oct. 29 – Nov 2nd. The theme is, Life is a Journey: Travel Drug-Free. Every student who participates with the dress up will receive 25 house points from their teacher. 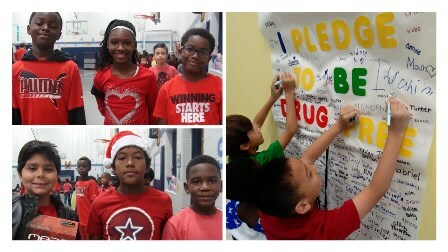 Red Ribbon Week is a national event when students think about making healthy choices regarding drugs, alcohol, and tobacco. We would like all parents to consider using this time to talk to their child about this important issue. Check out this site to get ideas on how to make the most of Red Ribbon week. You can also find a way to win an IPad for your family. Remember to check out the dress up schedule and get your outfits ready. Monday: Grab a crazy hat and looney socks for the trip. Tuesday: Dress in red so everyone knows you are drug-free! Thursday: Dress like a Cowboy and ride into the sunset. Friday: Dress up for our Character Parade. Each class is reading a book. Contact your child’s teacher if you have questions.